Think you have to upgrade to a bulky box mod to take vaping to the next level? Think again! The SMOK Stick Prince Starter Kit 3000mAh with TFV12 Prince lets you keep things simple while bringing more to the experience. This starter kit includes the SMOK Stick Vape plus the cutting-edge SMOK TVF12 Prince Tank, two coils, and a USB cable for charging. The SMOK Stick Prince is a sleek, clean stick vape that looks just like a beginner's e-juice vape pen; however, this vaporizer offers advanced performance. Hyper engines allow it to produce more vapor than the average pen vape without requiring you to adjust voltage or resistance levels. You'll always know the status of the SMOK Stick Prince. Just a quick glance at the glowing lights around the hexagonal firing button will give you insight into how your pen is operating and will let you know when you need to recharge. Powered by an integrated 3000 mAh battery, the SMOK Stick Prince lets you vape on and on. The large capacity battery lets you extend your vaping sessions but doesn't come at the expense of the lightweight, sleek build of the vape pen. The SMOK Stick Prince is equipped with multiple safety protections for your peace of mind. These safety features prevent damage due to low-voltage conditions and short circuiting to help the vape pen last for as long as possible. In addition, the pen vape has an 8-second draw cutoff to prevent overheating. 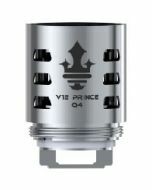 With the SMOK Stick Prince, you'll receive the brand new SMOK TFV12 Prince Tank. Equipped with a Cobra drip tip, this tank offers exceptional airflow allowing you to take every draw freely and deeply. Two slots at the base of the tank let you fine-tune the airflow to your exact preferences. A huge 8-milliliter capacity makes the SMOK TFV12 Prince Tank perfect for long vaping sessions. When you do finally need to refill, you can do so quickly through the top-fill e-juice slot that locks to prevent messy leaks. 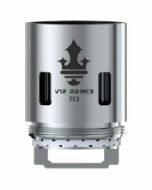 Keep vaping simple while taking your cloud size and density to a whole new level. 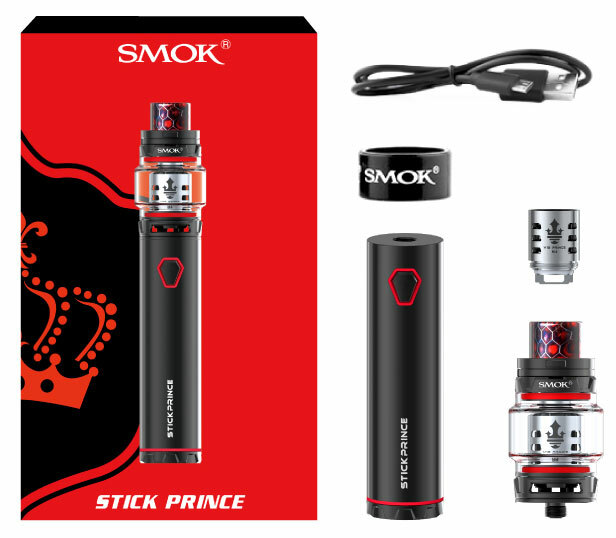 Order the SMOK Stick Prince Starter Kit 3000mAh with TFV12 Prince and experience the cutting-edge performance of the SMOK Stick Vape Pen and SMOK TFV12 Prince Tank. The newly designed top cap has a patented locking mechanism, by simply pressing the side button you can open the filling cap. This design effectively avoids accidently opening the fill cap and prevents the juice from leaking.